We flew to Johannesburg, drove to Buffelspoort and stayed in a ATKV rondawel, – Namibian neighbours David and Genevieve Weber. 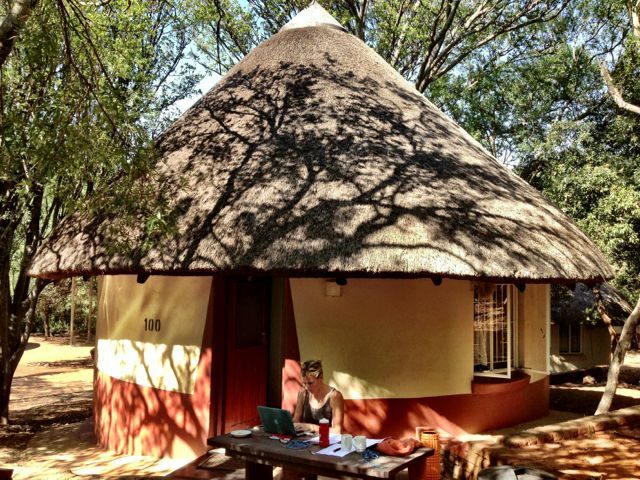 Its the middle of contract season and Liezel used the taper time to work up a storm. 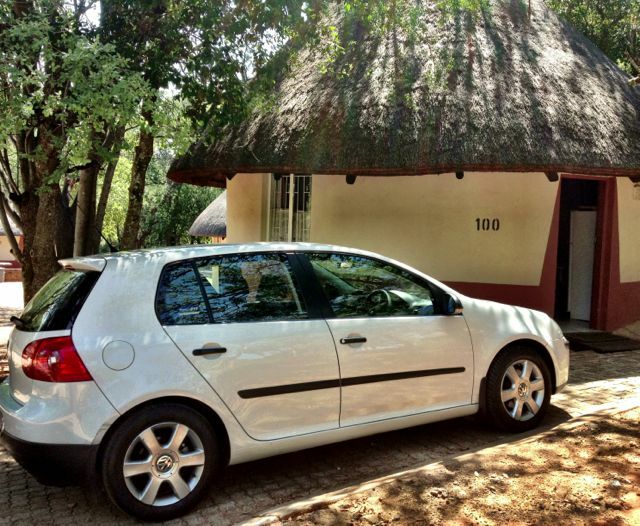 When in Joburg, roll like the Joburgers! Thanks to Bronwyn Blunden for the wheels loan. As you can see, we’re blessed with amazing friends from around the globe. This race was also a qualification for the SA team to travel to ITU Cross Tri World Champs in Den Haag, Holland later this year. ITU Worlds will take place on the beach and around the dunes of Kjikduin- probably the flattest place on earth. I found it quite ironic that our SA team would be selected on a run course with 450m vertical gain over 12km. But I figured this is a hard man’s sport, may the hardest man win. The past few months I have been training for the Abu Dhabi Triathlon- a wild race with 3km swim, 200km road TT and 20km road run. 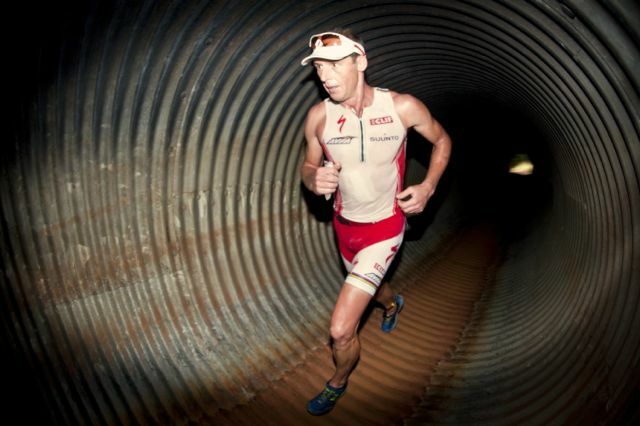 Completely outside my comfort zone, (and what I’m known for) but I liked the challenge and my coach Ian Rodger said its doable.- Racing Adu Dhabi and XTERRA at a high level. 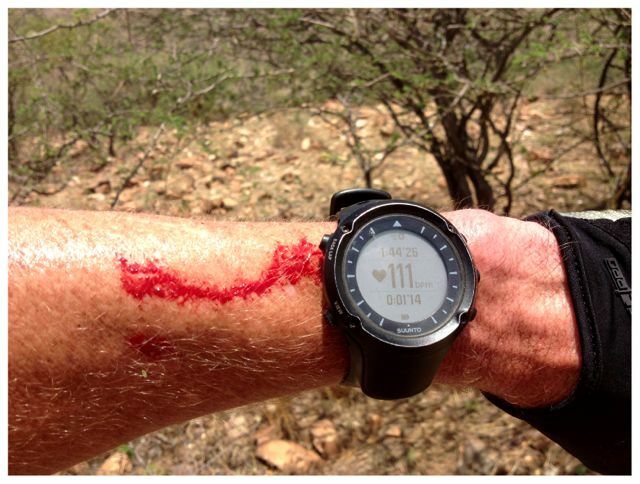 He figured the many hours of training will supplement my XTERRA racing nicely. I’m also learning about race nutrition. Like counting calories. For the first time. Ever. 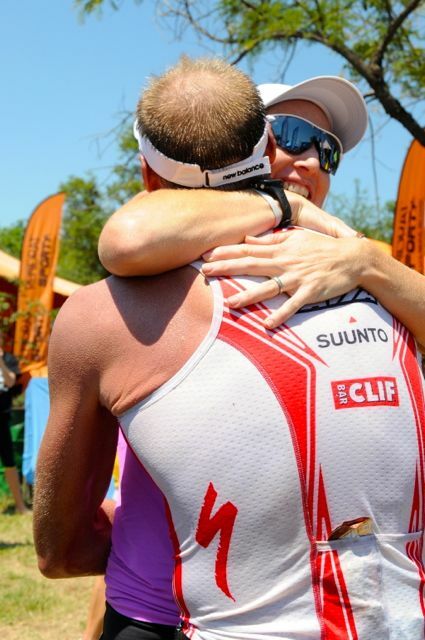 At XTERRA I know I’m fine if I slam 5 Clif Shots and drink about 1L of water somewhere between the start and finish. Now I count one gram of carbohydrate for each minute spent at 300-340W. Sounds easy, but it gets tricky when you start slamming Cokes or other “fun food” along the way. Coming into the season opening XTERRA (always telling how the year will progress) we were a little worried about my top end speed, as I only had 1 quality session (i.e. shorter reps at 420+) and one fun race. (TotalSports Challenge blog above) And no real swim or run reference points. 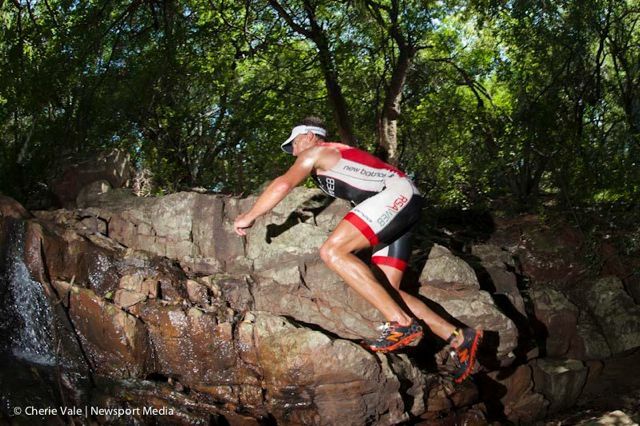 XTERRA in South Africa has grown from strength to strength. Roughly doubling in competitors every year. 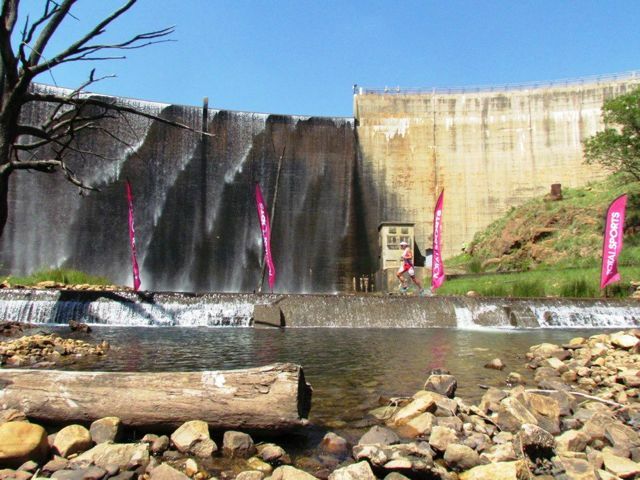 XTERRA Buffelspoort had 2500 participants over the weekend. 600 in the full distance. 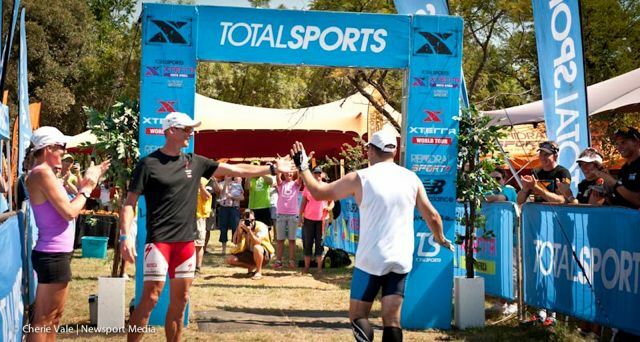 With Xterra featuring extensively on TV and the advent of social media, the sport has grown and sprouted quite a field of budding pros. Looking at TSC 2 weeks ago, we saw Stuart Marais, Dan Hugo, Bradley Weiss and Theo Blignaut racing heatedly at a high level. Exciting stuff. The water was nice and warm, so we went no wetsuits- which blew the field wide open. I was 2nd out the water-20″ behind Dan, but Bradley (1.30) and Stuart (3.00) lost chunks of time. Unfortunately Theo Blignaut- ace swimmer and ITU kid crossing over to XTERRA, also training with Ian Rodger now- came down with flu the day before, so we were spared the swimming lesson. The 29km bike course was a bit of a cake walk- hardly anything technical other than a few rough rocky sections. True to tradition though, I did encounter one closed gate on the course (as opposed to last years’ 2 closed gates) but this time, like a good farm lad, I closed it behind me. If I have to open and close gates, everyone can. Being the leader is hard enough. I cant tell you how many times I’ve found marshals and water station volunteers asleep or sitting in the shade, updating their Facebook profile. Not to mention the cobwebs (with cobs still in them) in the spooky forest and bats in the pipleine I had to clear. Also narrowly missed a head-on collision with a car on the bike course, and nightmarish flashes of Burry and Liezel’s scream going through my head. None the less, I rode 1hr03 and had a 4,20 lead on 2nd (Dan) and “a lot” on the rest. Because Avia (my shoe sponsor) folded like a wet newspaper over Christmas, we’ve been running around to find a suitable shoe sponsor. 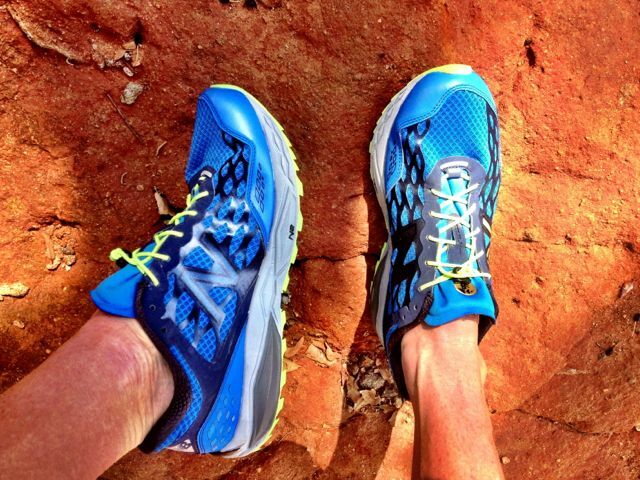 In the meantime New Balance South Africa kindly pimped my ride with this cool (and robust) trail shoe: Leadville 1210 with Vibram sole. For a course as hairy as this one, I appreciated the firm mid sole and tacky traction. Offers still welcome. I only rolled my ankle once. That one time I tried to enjoy the view. Probably the only part of the run that wasnt either straight up, straight down, or littered with rocks. 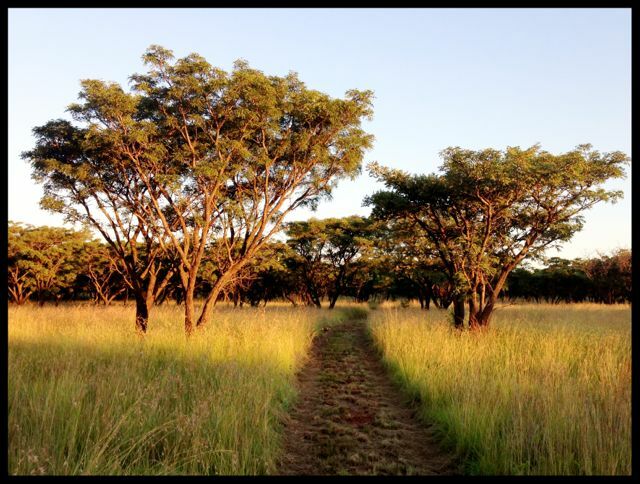 African Savanna at its best. Curiously, my run and bike times were almost the same- 56min run and 1.03 bike. Usually its about 2-1. The run route had a 450m vertical gain, and considering the technical nature and 35deg C temperatures made for slow going. It felt like a death march in slow motion, but I posted the fastest run split by 90″, which I’m very happy with. Especially considering the hilly course, small, fast runners (ie Stuart) and the fact that the biggest (and only) quality set I’ve run so far was 2km reps at tempo – a tester for Abu Dhabi. 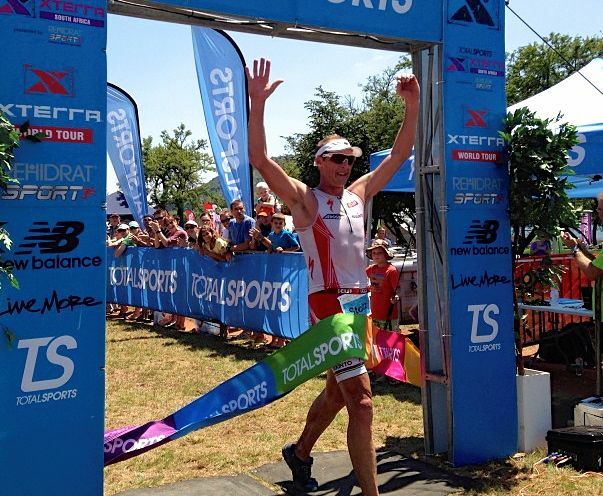 50th XTERRA win. Dan was in second place- 6 minutes back- and Stuart 3rd, 9 minutes down, Nico Sterk in 4th and Brad Weiss had a mechanical. Photo by my mom, Liesbeth Stoltz. Very happy to celebrate the milestone with Liezel. The wins seem to come faster and furious-er since she’s at the races. 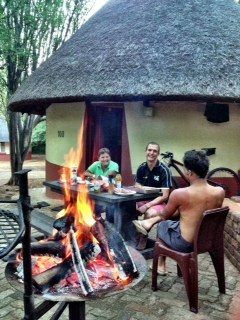 Celebration African style- a braai with friends and family. 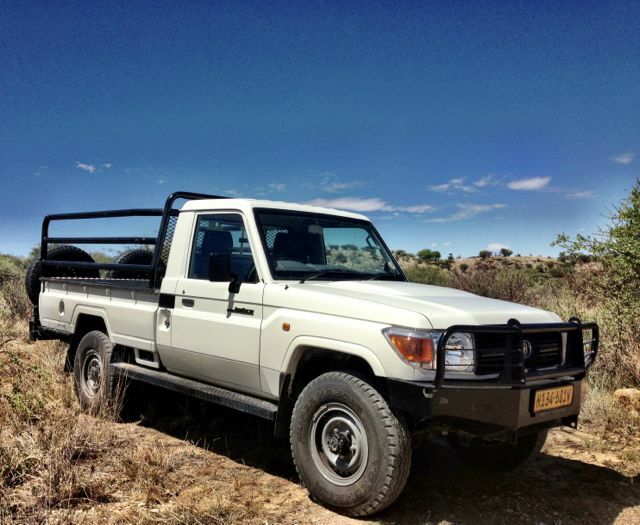 When in the Western Cape, we roll in style! 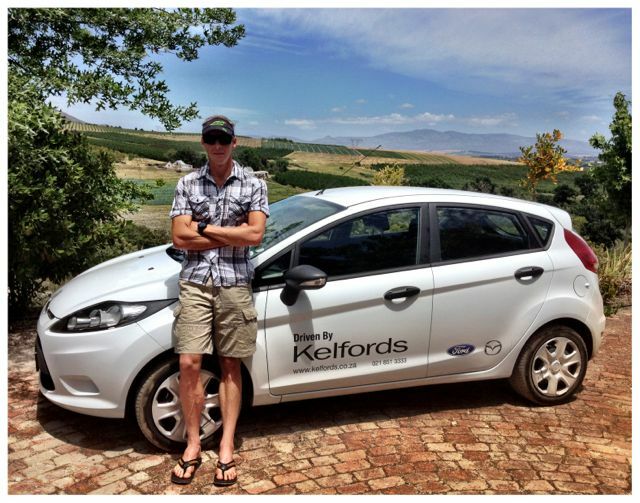 Thanks to Kelfords Ford (and Mazda) in Somerset West. 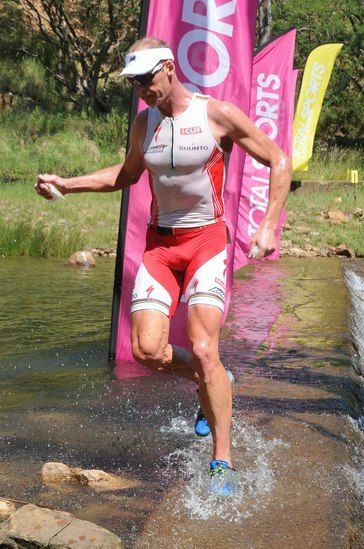 Tristan, the owner, is one of South Africa’s top amateur IM athletes (and getting faster every day) and has blessed a number of local triathletes with wheels. Dan Hugo & James Cunnama. 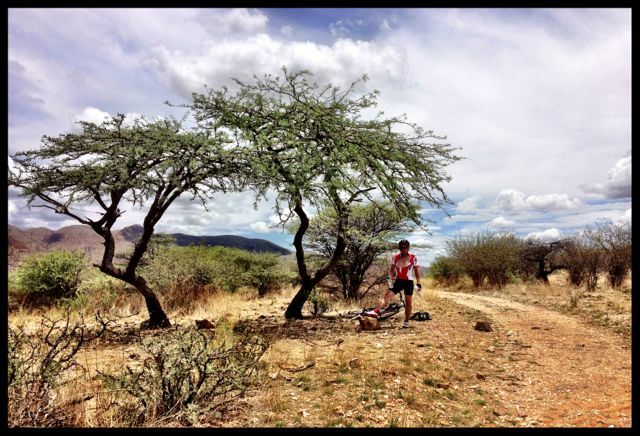 This entry was posted	on Tuesday, January 29th, 2013 at 8:53 am	and is filed under Blog Entries, XTERRA. You can follow any responses to this entry through the RSS 2.0 feed. You can leave a response, or trackback from your own site. thing to do with Lady gaga! Your personal stuffs great. 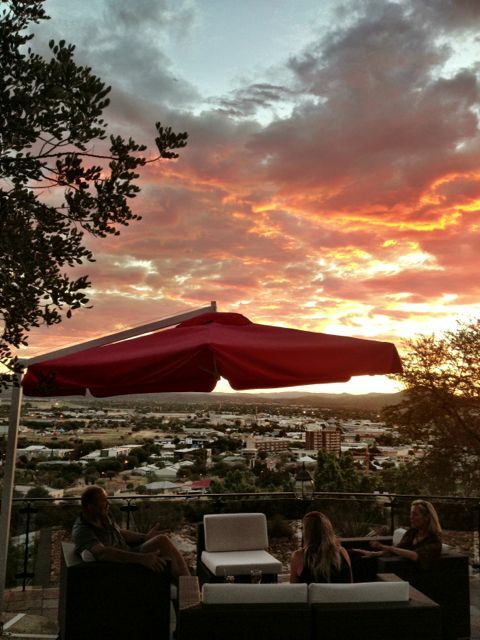 Thanks Conrad ..really great that you take the time to document your wonderful experiences. Really and inspiration for us lesser beings. Congratulations on your big wins!! We are Girl Scouts in troop 50114 trying to set up a fundraiser to help our local Humane Society, here in Bend, Oregon. We were wondering if you would be willing to be a judge at our big Doggie Fashion Show fundraiser on Saturday, May 18th. It would be so fun to have you there and would mean so much to us and the animals as well. Thank you ahead of time for your consideration. We really appreciate all that you do for our community. Well done Conrad. Awesome achievement. Love the quote from the Nambiam btw. Truly somes up that beautiful country. Keep up the good work. And know that you inspire all of us amateur athletes to keep on keepin on. Love the photo of you giving the last competitor a high five by the way. Not only did I get a high five, he actually spent some time and gave some pointers that I am using right now in training. 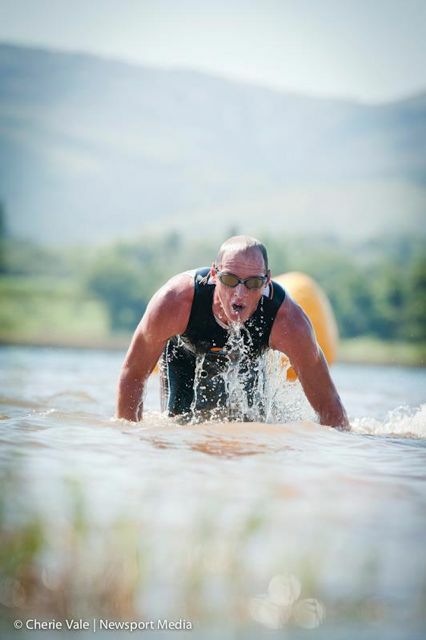 I am entered in Ironman 70.3 2014 and will NOT come last this time round! Well done Conrad! Congrats on the 50th and being a class act all the way. Hey Conrad, congrats on another 50! I can’t wait for your next race report. Definitely inspired, so I’m coming up from EL to do my first exterra at Grabouw. See you there! I hope the Caveman kicks but at Abu Dhabi! Hoe lekker lag EN huil ek terwyl ek lees oor jou 50ste Xterra wen. Makker ek buig-laag en lig my hoed. Dankie vir jou heerlike en ope-hartige skryf ! Mag ons nog jare geseënd wees met jou suksesse en weergawes van races !! !